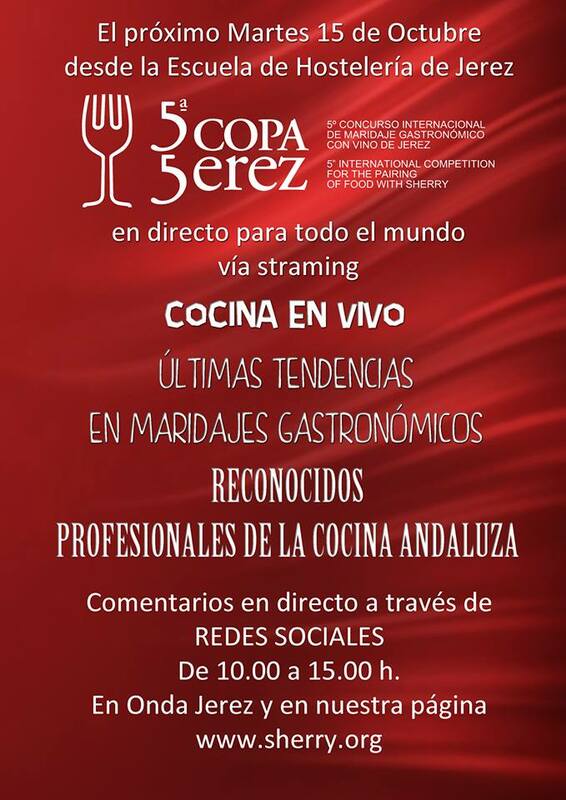 The Fifth International Competition for the Pairing of Food with Sherry Wine will be held at 12 noon, on the 15th of October at the Bodegas Showroom, Culinary School of Jerez (Calle Einstein, #5 in Jerez). 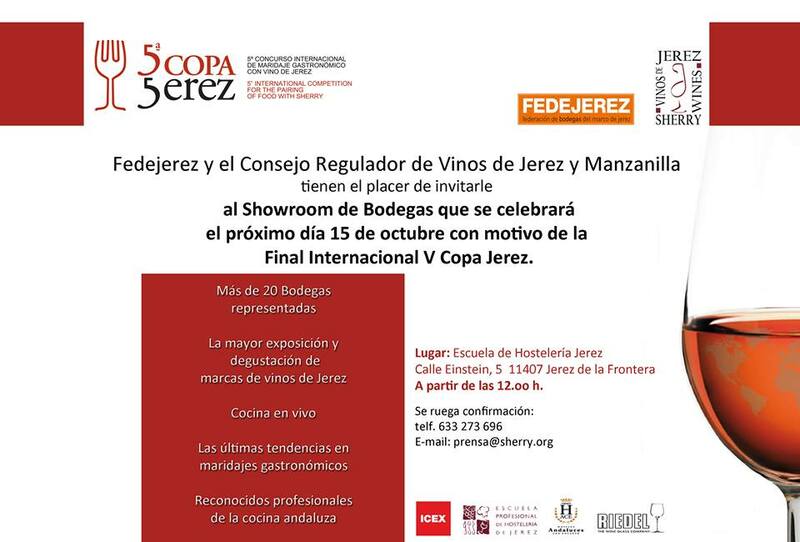 The event is sponsored by Fedejerez and the Regulatory Council for Sherry and Manzanilla Wines. Representatives from more than 20 different Bodegas (Wineries) will be in attendance, as well as a variety of recognized experts in Anadalusian cuisine. The event will showcase the latest gastronomic trends that are especially suited for pairing with the most extensive variety of Sherry wines. Although attendance is limited by invitation, the event will be able to be enjoyed by all, via a live-stream broadcast. There will also be commentary provided from 10 a.m. to 3 p.m. via internet social networks, Onda Jerez, and the www.sherry.org webpage.